Reviews have been pretty good for this game, which "Shifts" The Need for Speed series into a more simulation racing experience. Check out the difference in this new demo! 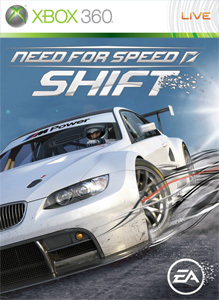 "Need for Speed Shift is an amazingly realistic and visceral racing game that gives you the true driver’s experience delivering real-world physics in authentically recreated race cars on a wide range of challenging race tracks. Players are thrust into the loud, visceral, intense, athletic experience of racing a car on the edge of control from the driver’s perspective through the combination of perception based G-forces, the hyper reality of the cockpit view, and the brutal experience of a first person crash dynamic. Need for Speed Shift features an accurate, accessible physics-based driving model that allows you to feel every impact, every change of track surface and every last bit of grip as you push yourself to the edge."